The vast majority of houses are afflicted with some kind of mold– in fact, mold is pretty much around you all the time, and most of it is completely harmless and hidden to you. In the case that you come across some mold in your home, however, it is much better to be safe than sorry. The first thing you should do is identify the type of mold you are dealing with. Most of the time, you will be able to identify it as a harmless mold that you can just thoroughly scrub away. If you are ever unsure about the type of mold you are dealing with, you should contact a professional right away to make sure it isn’t one of the varieties that will negatively impact your health. Here are the various types of mold you may discover in your home, what effects it could have on your health and environment, where you’ll find it, and how to get rid of it. The potential health effects will be graded on a scale from 1-10, with 1 being completely harmless, and 10 being the most dangerous, with a further analysis of those rankings to follow. Appearance: Black/grey mold that makes it look like the wood has been partially eaten away. Location: Wood planking, attics, on the bottom side of roofs. Usually hidden beneath a layer of drywall. Cause: a fungus found within the tree that the lumber is sourced from causes this. 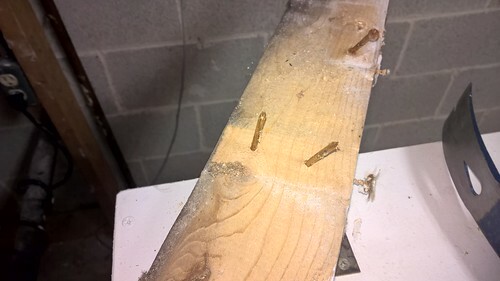 Typically, it is a common sap stain fungus that grows on lumber. What to do: This is a purely cosmetic type of mold that does not require any treatment, especially since the wood is usually covered by insulation or drywall that shields it from sight. However, if there is some exposed wall infected with the fungus and you want to fix it for cosmetic reasons, then it can be removed through cleaning methods, including wire brushing and sanding. It is best, however, to get an expert opinion about how to remove the mold so you don’t accidentally damage the wood in the process. One thing that does make the presence of this mold difficult is that it bears a resemblance to different kinds of black mold that can be hazardous to your health inside your home. So while This is a purely cosmetic type of mold that does not require any treatment, especially since the wood is usually covered by insulation or drywall that shields it from sight. However, if there is some exposed wall infected with the fungus and you want to fix it for cosmetic reasons, then it can be removed through cleaning methods, including wire brushing and sanding. It is best, however, to get an expert opinion about how to remove the mold so you don’t accidentally damage the wood in the process. One thing that does make the presence of this mold difficult is that it bears a resemblance to different kinds of black mold that can be hazardous to your health inside your home. So while bluestain mold is harmless, you want to carefully inspect any sources of it in your home to make sure it isn’t a more dangerous kind of mold. Location: Dying/dead plants, food, bathroom tiles, window frames, refrigerators, areas with moisture. What to do: This airborne fungus is the most common type of mold, and there is a fair chance that any mold you will find in your home is of this variety. The vast majority of the time, it will not bring any negative health effects. It can be dangerous, however, in large amounts or to people with respiratory problems. It can also cause a nasty allergic reaction in certain individuals as well. In extreme cases, it can cause bad infections in the individual who encounters it, usually for prolonged periods of time. While finding the mold in your home is no cause for panic, you should definitely eliminate all traces of it in your home when you find it. Fortunately, the most common mold is also fairly easy to get rid of, though you might find that you have to go back to the area for repeat cleanings. Scrub the affected area thoroughly with bleach or a mold cleaning product, and make sure to wipe the area completely dry afterward to reduce the chance of it coming back to that area. Again, however, if you have doubts about what kind of mold you are dealing with, contact a professional. Appearance: Usually blue or green in color. Location: Either found on foods, like fruits (especially apples), cheese, or on the walls, insulation, under carpets, and in upholstery. What to do: This is also one of the more common indoor species of mold, and is known to spoil food as well as show up on or in the walls of your home. Interestingly, this is actually related to penicillin, which is now used as a life-saving medicine. In your home, however, it has the potential to give you allergies and can very seriously affect those with immune problems. It is a little easier to identify, thanks to the brighter colors it sports. Clean away this mold like you would with any other mold because of the potential for health and safety risks. This is also one of the more common indoor species of Interestingly, this is actually related to penicillin, which is now used as a life-saving medicine. In your home, however, it has the potential to give you allergies and can very seriously affect those with immune problems. It is a little easier to identify, thanks to the brighter colors it sports. Clean away this mold like you would with any other mold because of the potential for health and safety risks. This is also one of the more common indoor species of mold, and is known to spoil food as well as show up on or in the walls of your home. Interestingly, this is actually related to penicillin, which is now used as a life-saving medicine. In your home, however, it has the potential to give you allergies and can very seriously affect those with immune problems. It is a little easier to identify, thanks to the brighter colors it sports. Clean away this mold like you would with any other mold because of the potential for health and safety risks. Appearance: Black or grey blotches. Location: Walls, windows, dusty areas (usually requires a high water content). Additionally, alternaria often arises among food and vegetables. What to do: Because of its high water requirements, Ulocladium, in particular, is usually a sign that an area has taken high water damage, so if there is an area of your home that has seen an unusual amount of water or flooding, this mold could be growing there. Alternaria looks very similar to Ulocladium, even under a microscope, and both are closely related to each other. Like the previous molds, these can cause bad allergic reactions in those who are vulnerable, and it is actually not uncommon for Ulocladium to give people hay fever. Partly because they are a bit less common than Cladosporium, the allergic reactions tend to be a little more severe, and children seem to be more vulnerable to it than the rest of the population. Cleaning this type of mold away is the same process as Cladosporium: scrub with bleach and make sure the area is dry and remains that way. Because it needs a lot of water to grow, this mold shouldn’t return if the moisture has been removed. What to do: Like most of the other kinds of mold mentioned, there are many variations within the mold that can affect how dangerous it is to your health. Aspergillus is no exception, and there are some more toxic variants of the mold that would require your instant action if encountered in your indoor environment. While it wouldn’t affect most healthy adults, other members of the population, like children and the elderly, could be negatively affected by the presence of aspergillus, and can also cause minor health problems to adults. Exposure to this can cause aspergillosis, which can cause infections in your ears, nose, and lungs. And like many of the other molds, the risk of allergy is present in some variations. Not only that, but doing certain activities, like using vacuum cleaners, can actually increase the number of spores in your home, and its inclination to spread also makes it pose more of a threat than the others. If you identify what could be aspergillus in your home, it best that you call a professional to see about immediate removal. Appearance: Black flecks or blotches on surfaces, sometimes with hints of green. Location: Very damp areas, walls (generally just wood or paper). 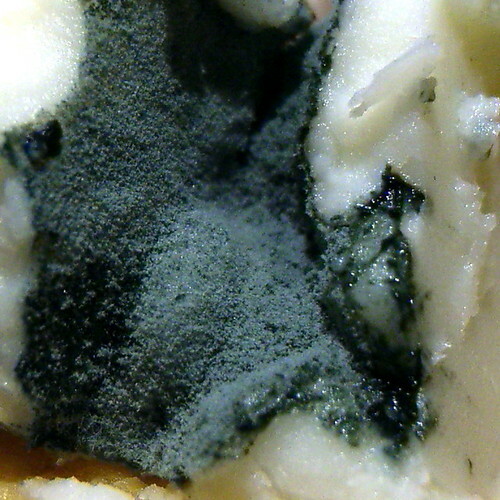 This is the famous mold that made news for being one of the most dangerous molds to encounter. They can produce mycotoxins, which will cause symptoms once breathed into the lungs. They are much more likely to produce nasty symptoms for healthy adults than the other molds, which is why they are considered so dangerous. Thankfully, it is unlikely that you will ever encounter this in your home, given that they need areas of high water density in order to thrive. You could encounter them in other areas, like abandoned houses, and if there are places of heavy water damage in your home, then there is the possibility of risk. 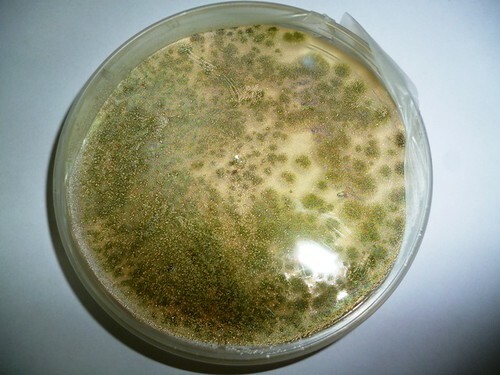 Other types of mold, such as the Fusarium and Chaetomium variety, are also dangerous molds that tend to appear in areas of high water damage, but these are also fairly rare and are unlikely to affect you in your home. It is also very easy to confuse Stachybotrys with Cladosporium, since they both produce similar black flecks upon the wall. As has been said, there are ways you can determine which it is, but if you have any doubts, it is best to call a professional immediately and keep away from the affected area. In fact, in any of these cases, it is best to contact a professional if you are unsure how to proceed. In case of a persistent mold problem in your house, you should learn more about mold and its causes in order to get rid of the infestation as you continue to work with professionals who will get the job done.